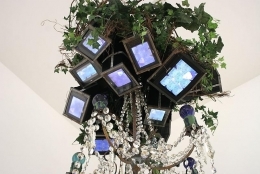 James Cohan Gallery is proud to present an exhibition of important works by the late pioneer of video art, Nam June Paik, opening on April 14th and running through June 6. 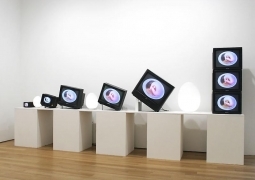 The exhibition consists of a number of works dating from 1972 to 1994, among them are Paik's robot sculptures, live feed installations and other video sculptures. 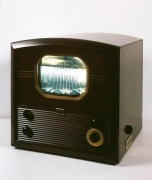 Commonly hailed as the father of video art, Nam June Paik asserted in 1965 that the television cathode-ray tube would someday replace the canvas. 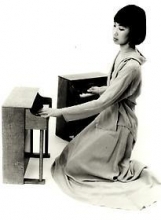 Known as one of the major proponents of the Fluxus movement of the 1960s and 1970s, Paik worked closely with artists John Cage, Joseph Beuys and Charlotte Moorman among others. He balanced a Utopian philosophy with a technical pragmatism and was known for creating works that drew on chance encounters between ideas, the object and the public. Paik's interest in the phenomenon of electronic communication led him to make predictions about how the technological changes were going to affect our daily lives. Forty years removed, we now understand the prescience of Paik's concepts of the "global village" and the "electronic super highway" were, which foreshadowed how technology would come to connect diverse cultures at high speeds in the pre-Internet age. The Korean-born artist died at age 73 in January 2006. Installed in the main gallery space is TV Bed (1972-91) a sculpture that was created for Paik's frequent collaborator and muse Charlotte Moorman. Paik's sense of humor is evident in the selection of a bed as a tribute to a woman he deeply admired. Paik began constructing robots in 1964, which developed out of his fascination with remote-control toys. He built robot sculptures to honor his heroes. In this exhibition, the gallery is excited to have several important robot sculptures including Gertrude Stein (1990) depicted with her Victrola-horn arms and video womb, and Beuys Voice (1990), a loving portrayal of one of Paik's major influences, Joseph Beuys, identified by his signature gray felt hat. 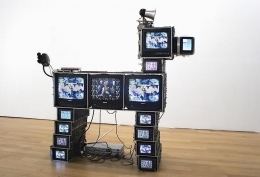 On a more subversive and comic note, Paik created Watchdog II (1997) a large dog robot named as such for the surveillance camera at the end of its tail and his loud speaker ears. 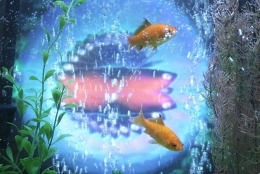 Included in the exhibition are Paik's "live feed" works in which the closed circuit image displayed on the TV monitor is real-time video captured on camera. 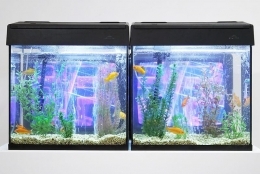 For Paik the use of live feed video was his exploration of the increasing blurred line between the real and the represented in the electronic age. 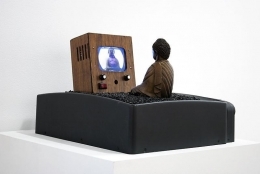 In his signature installation Enlightenment Compressed (1994), a bronze statue of Buddha sits to reflect upon his image on a television monitor. The Buddha meditating upon himself points to the self-reflexivity of the experience of the television viewer— a wry comment that equates the TV viewing experience to the practice of Zen meditation as means to achieve a higher level of consciousness. Over the exhibitions 50 years Nam June Paik has exhibited in many major museums worldwide, including the Museum of Modern Art, New York (Projects: Nam June Paik, 1977), Whitney Museum of American Art (Nam June Paik, 1982), Centre Georges Pompidou (Nam June Paik, 1982), San Francisco Museum of Modern Art (Nam June Paik, 1989), National Museum of Contemporary Art, Seoul (Nam June Paik Retrospective: Videotime, 1992), Solomon R. Guggenheim Museum (The Worlds of Nam June Paik, 2000). He represented Germany at Venice Biennale in 1993. Paik has received numerous grants and awards from, among many others, the Guggenheim Museum, the Rockefeller Foundation, and the American Film Institute; Will Grohmann Award, Goslar Emperor's Ring and UNESCO's Picasso Medal. Paik's works are in the collection of a number of institutions, such as the Hirshhorn Museum and Sculpture Garden (Washington D.C.), Musée d'Art Moderne de la Ville de Paris, the Smithsonian American Art Museum (Washington D.C.), the Walker Art Center (Minneapolis, Minnesota), the Museum of Modern Art (New York), amongst others.